with 300 to 1100 hPa working range and IP30 protection. 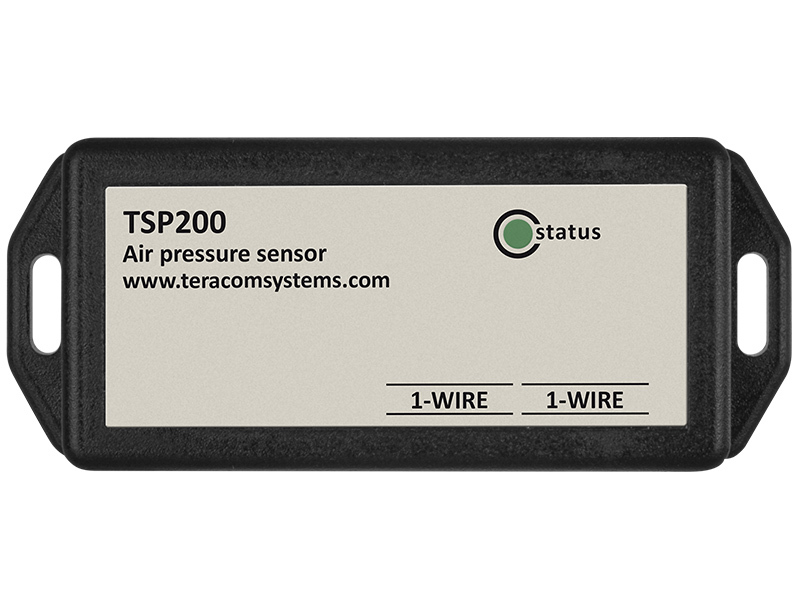 TSP200 is a 1-Wire barometric pressure sensor. The basic silicon MEMS element is based on proven piezo-resistive pressure sensor technology. It has high EMC robustness, high accuracy and linearity and long-term stability. A mixed-signal application-specific integrated circuit (ASIC) performs A/D conversions and provides the conversion results. The temperature measured by the internal sensor is used for sensor-specific compensation. The absolute barometric pressure sensor is a nano power and wide temperature range working device. 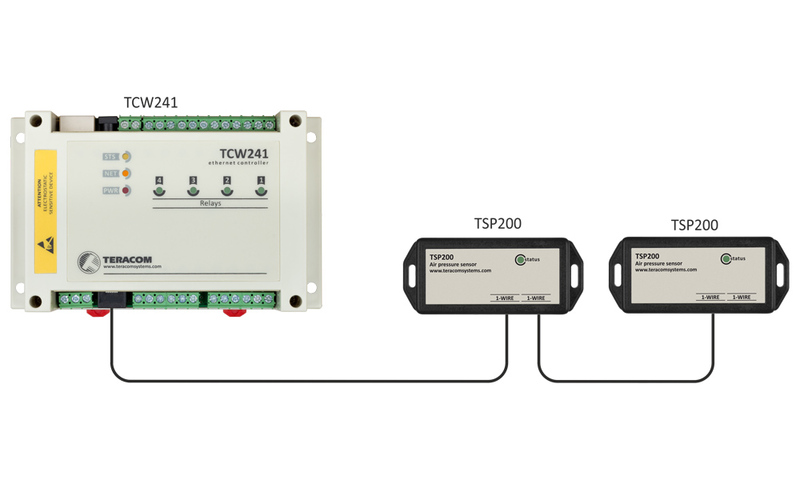 This is essential when focusing on low-power environmental monitoring applications. 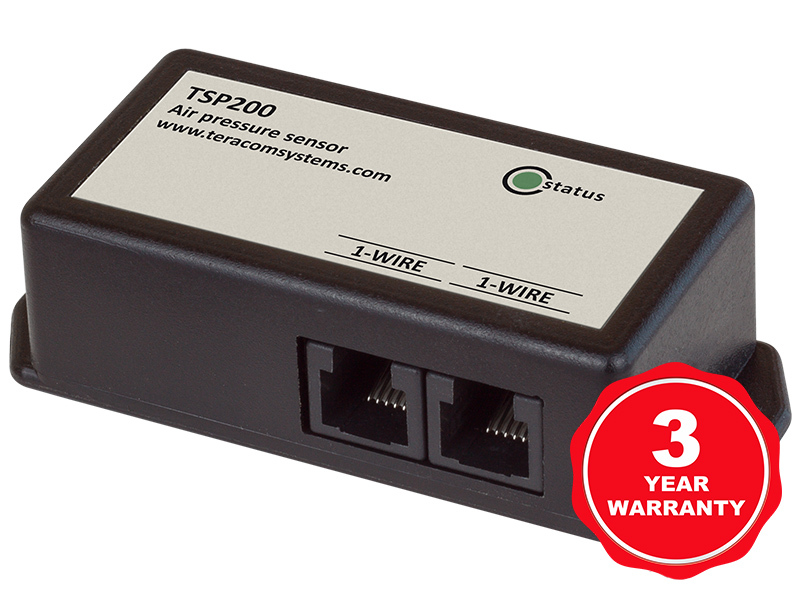 TSP200 communicates over a 1-Wire bus. Each sensor has a unique 64-bit serial code. The 1-Wire barometric pressure sensor has two RJ11 connectors for easy daisy chain sensors wiring.